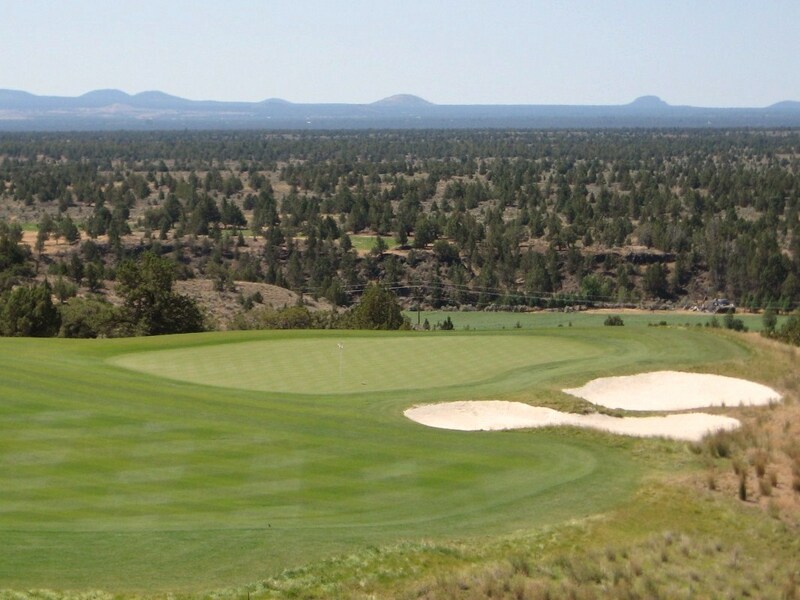 Green Fees: $120 for Guests at the Resort, $85 if playing with a Member. Check with pro shop to confirm. Brasada Canyons is essentially an unwalkable golf course with extremely long green to tee transfers on most of the holes. 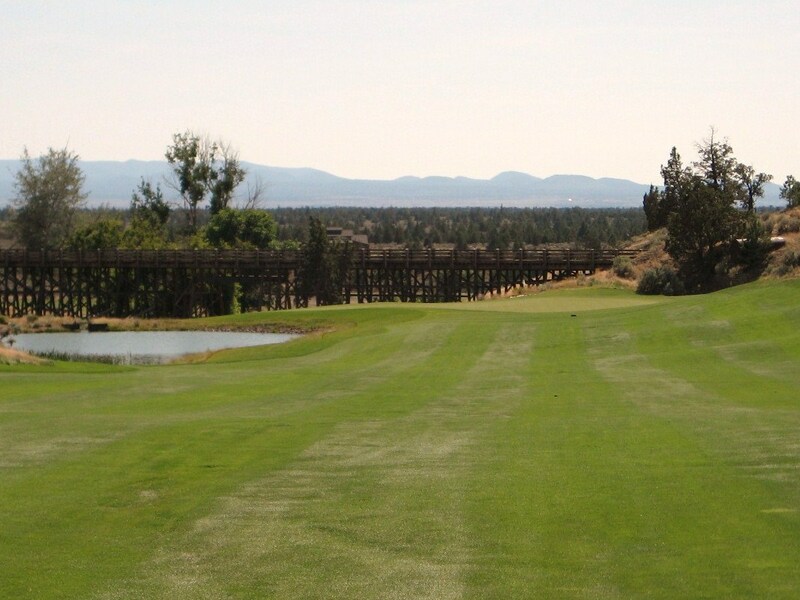 If you would like to walk this course then it is advisable to hitch a ride from most greens to the following tee or you will face a trek of about 8 miles. 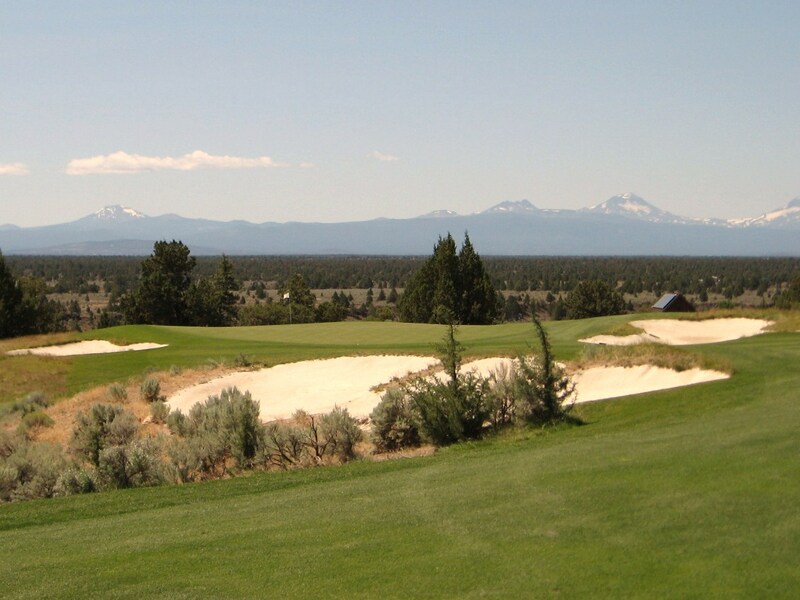 The setting at Brasada Canyons is spectacular with panoramic views of the Cascade Mountain Range or surrounding Buttes on all of the holes. 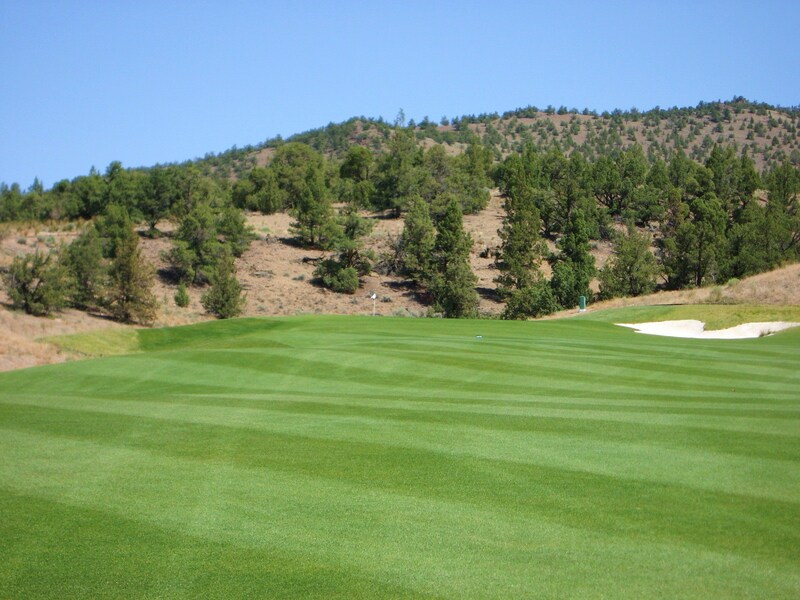 The course is also meticulously maintained and the fairways and greens are in excellent condition. Approach to the 9th Green at Brasada. 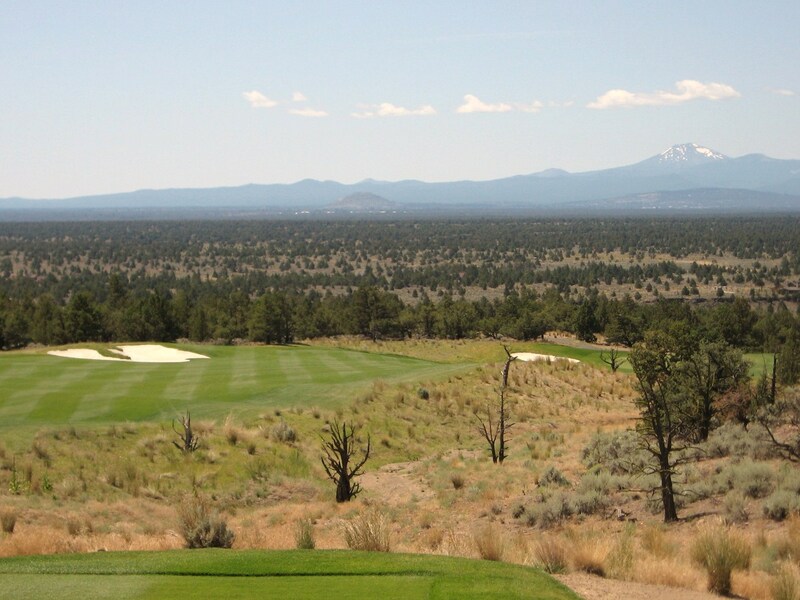 The architects routed the course on top of, through, or over, the many canyons and valleys that flow through this beautiful 1800 acre property. Approach to 5th Green at Brasada. 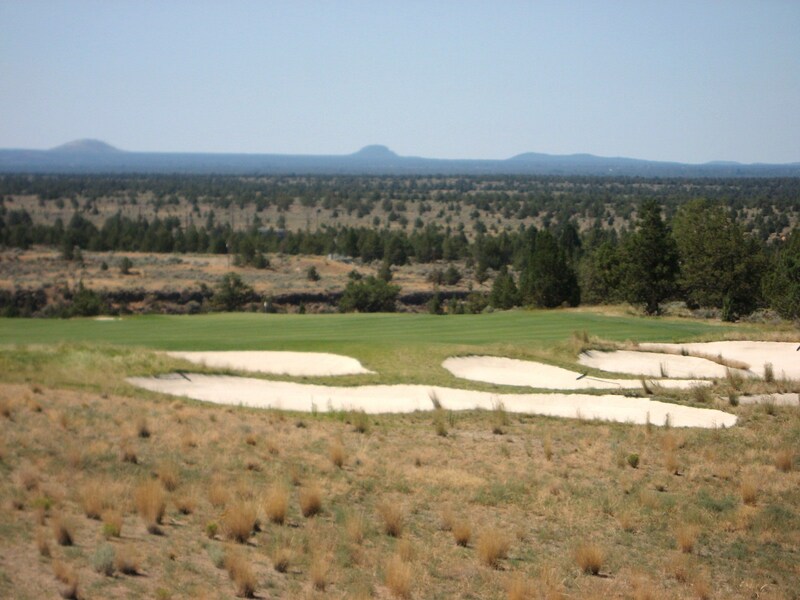 The white silica sand does not fit in with the hues of the high desert setting and the bunkers are too abundant and too large for the site which detracts from the incredible natural beauty of the course. A more minimalist design would have maximized the aesthetic value of the spectacular landscape that the architects had to work with. All of the one shotters at Brasada are downhill, or drop shots, that tend to take advantage of the surrounding vistas while creating a sense of redundancy. Par 3 4th at Brasada. Par 3 6th at Brasada. Par 3 17th at Brasada. There are, however, some fun holes to be played at Brasada including the two shot eighth which moves from left to right along the top of a canyon from tee to green. The drive should be played to the right of the bunker to leave a good angle of approach. 8th Tee at Brasada Ranch. The false front on the sloping green, with a ridge in the middle, makes placement of the short or mid iron second vital to ensure a two putt. Approach to 8th Green at Brasada. The par five eighteenth contains the only water hazard on the property. It is a good risk/reward hole where a long drive off the tee can position the cart golfer with a chance to hit the green in two. The left to right sloping fairway will steer anything short towards the pond, but the bank on the far right can be used to kick an approach onto the green. A large shamrock bunker awaits anything too strong that runs over the back. A tressle bridge behind the green ferries golfers back across the main road where they have a long drive back to the clubhouse. Brasada Canyons is a “cart golf” course where nothing has been done to make it more walking friendly or even potentially walkable. The setting at Brasada is breathtaking, the maintenance and conditioning is excellent, the greens are a pleasure to putt on and the course certainly possesses some good holes, but the repetitive par threes and yawning white sand bunkers detract from what could have been a great cart golf course. 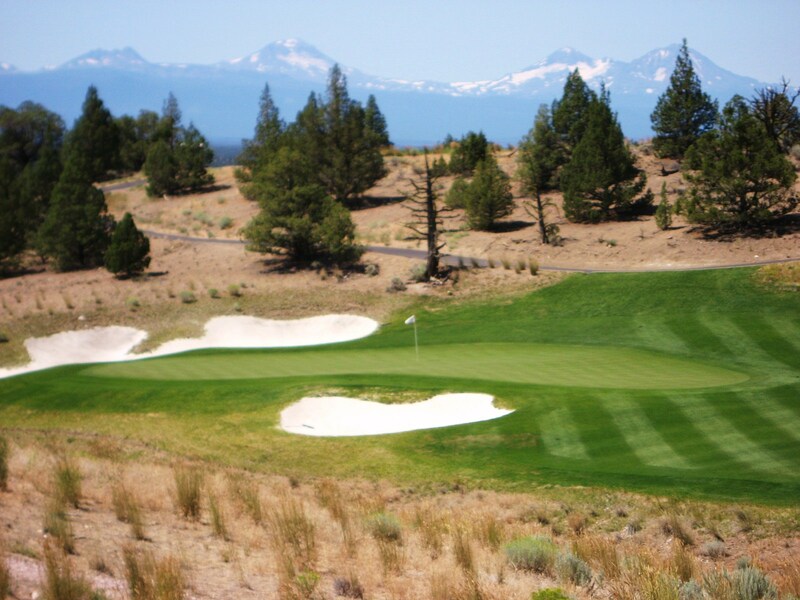 Often less is more when it comes to golf course design. 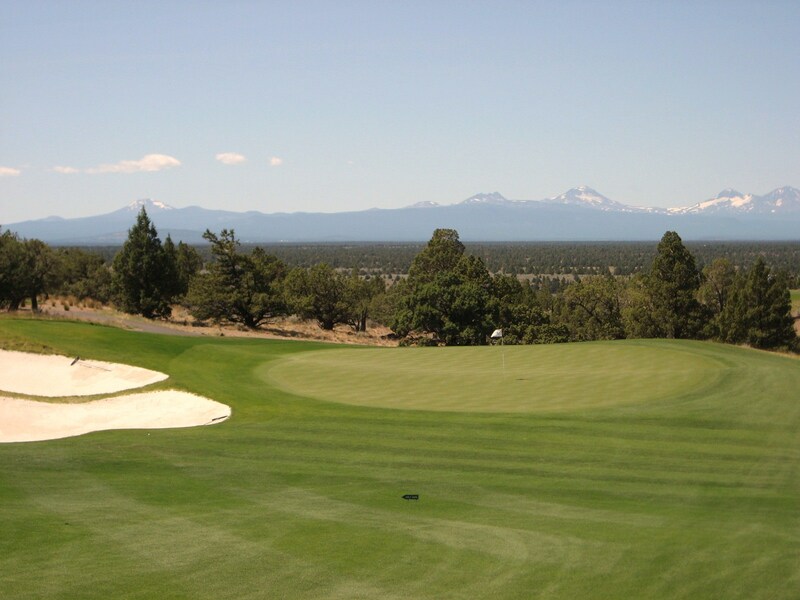 As a Member/Resort Course, Brasada strikes a good balance between Strategy and Playability. 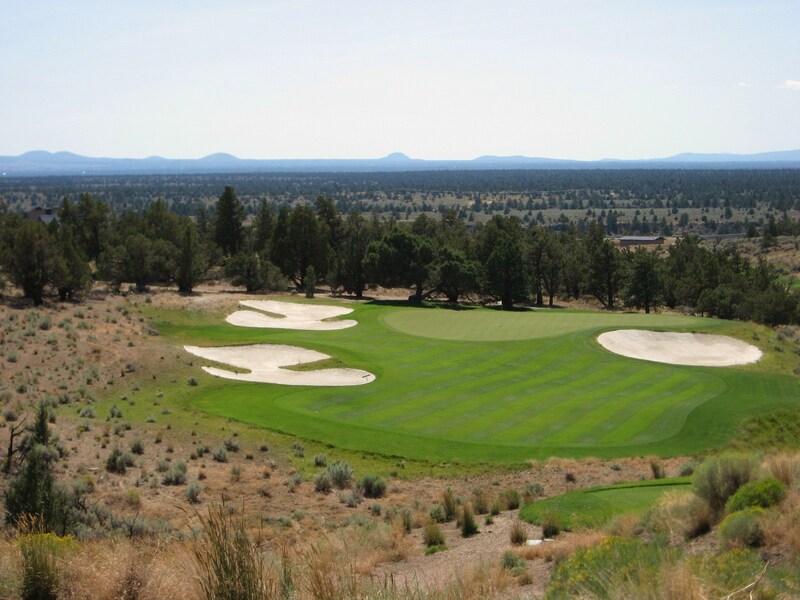 The holes routed on top of the canyons have reasonable fairway widths for golfers of all levels to keep the ball in play while still providing challenge for the low handicapper looking for specific angles into the greens. There are a few risk/reward situations that can save or cost the golfer a shot or two depending on ambition, and the five sets of tees provide a nice range of distances for all abilities.